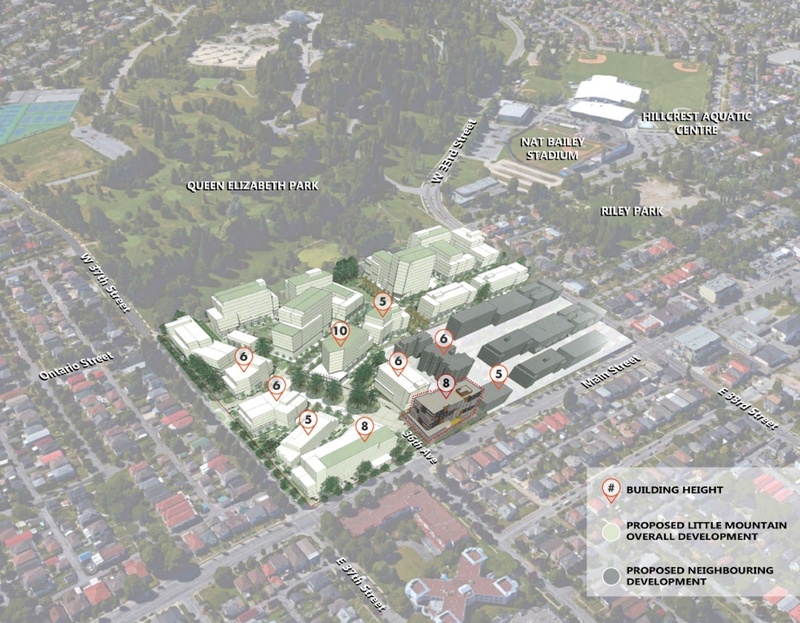 There is new progress on the long-planned redevelopment of the large Little Mountain property wedged between Queen Elizabeth Park and Main Street in Vancouver. 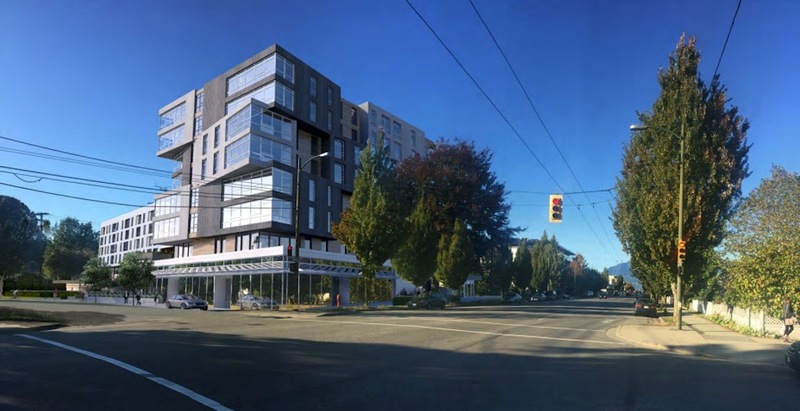 Holborn Holdings Ltd., the developer of Trump International Hotel & Tower Vancouver, has submitted a development application to construct an 85-ft-tall, eight-storey mixed-use building at 155 East 37th Avenue — the east side of the property, facing Main Street. 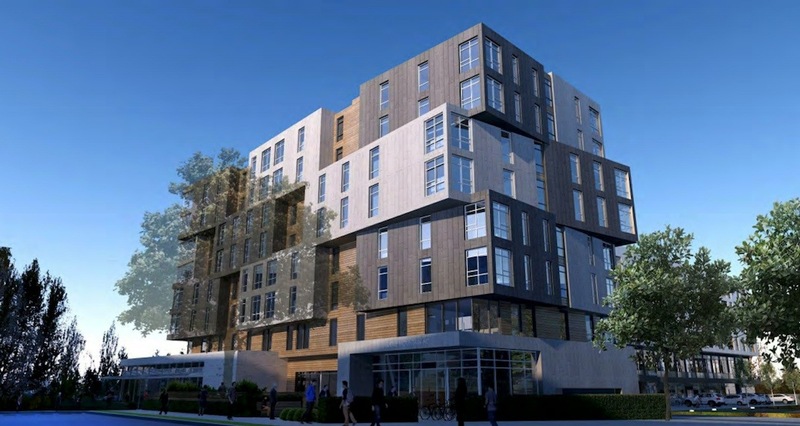 There will be 63 social housing rental units on the upper floors, with the unit mix comprised of 42 two-bedroom units and 21 three-bredroom units. Approximately 4,200-sq-ft of space on the ground floor has been set aside for restaurant use. “The building is strategically oriented in line with the Little Mountain masterplan, with the longer dimension north-south, to optimize views and reduce shadow impact,” reads the design rationale by Stantec Architecture. The total floor space area is 78,125-sq-ft, providing the property with a floor space ratio density of 3.73 times the size of its lot. 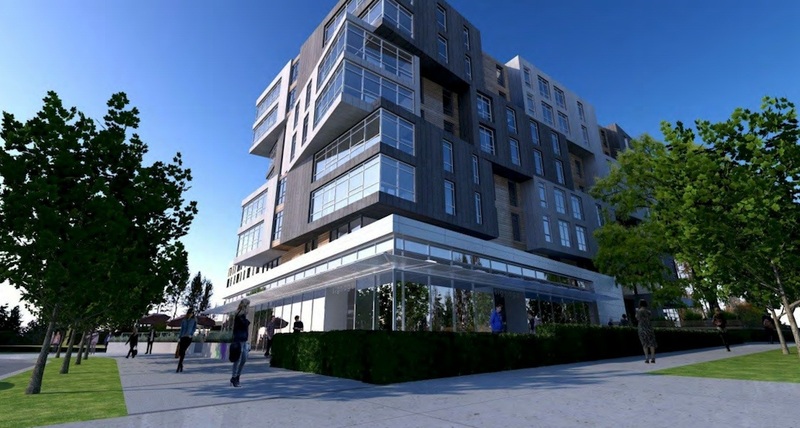 There will be two levels of underground parking with 52 vehicle parking stalls accessed from the laneway. When all phases of Holborn’s 15.2-acre Little Mountain redevelopment are complete, the project will entail 1,300 market housing units, 282 social housing units, community centre with daycare, retail and commercial space, and ample public spaces. 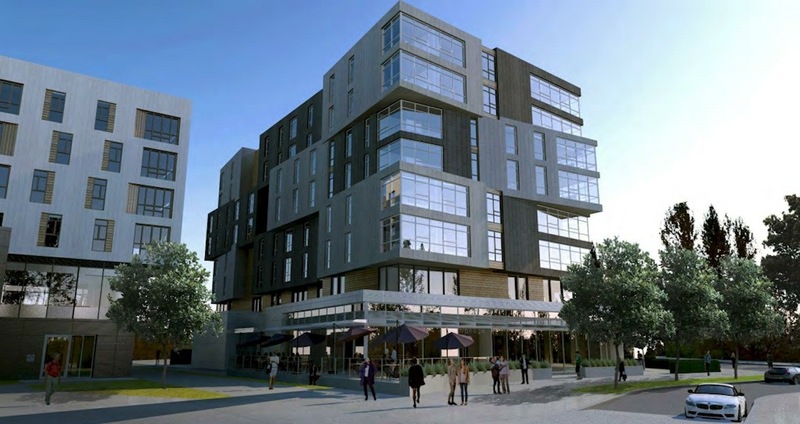 The redevelopment’s rezoning was approved in 2016, and the urban design principles were green lighted last year. A small portion of the site is currently used for a three-storey modular housing structure with 46 units for the homeless. This temporary structure, completed in fall 2018, is expected to remain at the location for about three years, until plans for the site’s permanent development are ready.